FOR A VERY LIMITED TIME… TAKE ADVANTAGE OF THIS SPECIAL PRICE – TAKE THE CLASS – USE THE RESOURCES & HELP ME BY ANSWERING QUESTIONS TO MAKE THIS COURSE BETTER FOR THE NEXT GENERATION OF ALEYOS! Oh My Godparents! is a masterclass of over an hour and a half of work. It comes with video and the key downloadable material to use when in the process of choosing a possible godparent candidate. There was plenty of research done with priests who have stumbled in this department and who wish for no one to have to go through what they went through. This class taught by Iya Omileti Olubunmi. May this help you on your Spiritual Journey! 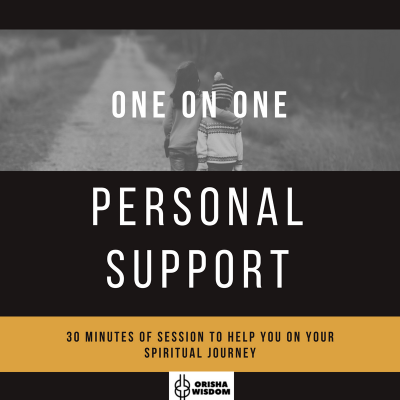 The truth is that in this religion you will spend hundreds and hundreds (and if you are going to be a priest – you will spend thousands of dollars)… Wouldn’t you want to have a roadmap to spend your hard earned money the best way possible… the first time?? This is a very important choice … it’s one that should really be made just once…. You can have a great journey with the best person by your side guiding you… Know what to look for… and what to look out for. You can spend time researching the web, and forums and books…. OR get info in just one place… along with a community of folks who are willing to help you along the way. 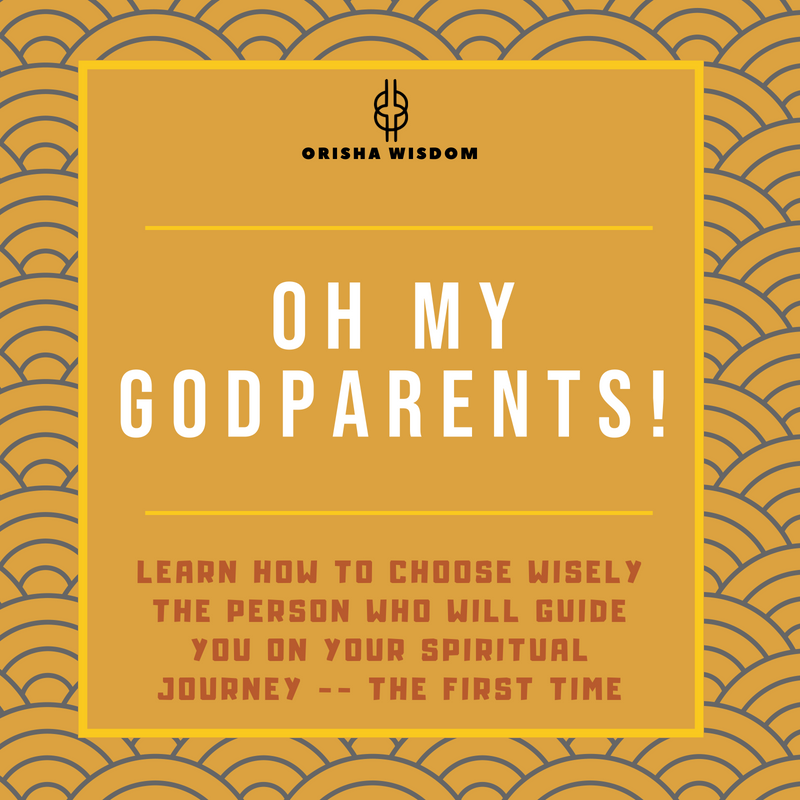 Are you looking a Godparent in the Orisa Traditions? 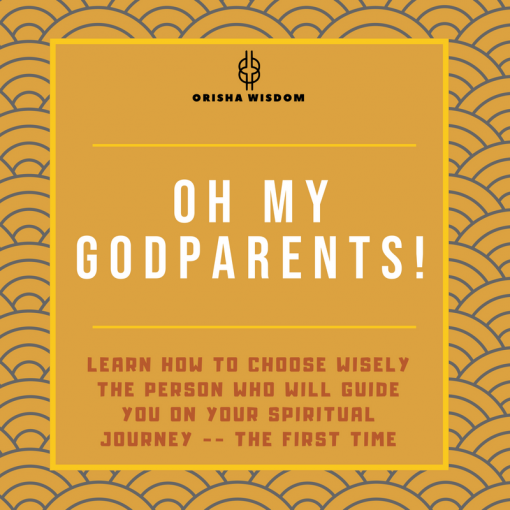 7 Billion people on earth… and stressing over finding the right godparent? It is possible to have one… Because in our traditions it is a needed must-have. The problem is choosing wisely…. I get it! This masterclass is over an hour and a half of work, teachings and strategy. It comes with video and the key downloadable material to use when in the process of choosing a possible godparent candidate. There was plenty of research done by priests who have stumbled in this department and who wish for no one to have to go through what they went through. The value that this class gives… is worth its weight in gold. This is the compilation of the experience of priests who have made mistakes before and don’t want you to make the same ones…. because the truth is that…. that this religion can be expensive… and with the wrong guide…. you without a doubt spend much more time and money in the process. Downloadable / printable – Getting To Know You document to assist you in choosing your future godparent (watch the class first to learn how to use this document). May it help you on your Spiritual Journey! Enjoy this fantastic tool!